Sillycow Farms has been around for 30 years, building their product line and reputation creating hot chocolate mixes using wholesome, all natural ingredients. You’ll find their products in select specialty markets across the country (check their website for details). While you’re there, see their clever gift packages, just perfect for any occasion. You can also shop directly online and have their fabulous hot chocolate mixes shipped directly to your door! PrettyPillowCase.com: Here at State Gits USA we really enjoy spotlighting businesses who introduce a different twist to a standard product. That’s certainly the case with this Vermont company, who help you add a splash of color and decor to your bedroom .. 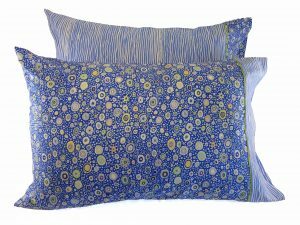 The business is PrettyPillowCase.com, and wait until you see some of their vibrantly colored products! if you want to liven up your bedroom’s decor, check out these pillow cases, which add a layer of complementary color and pattern to your sleeping area. Made from durable medium weight cotton, these colorful pillow cases make a great personal gift! The selection includes many fabrics that go so well together that they come in matching sets … one pillow case features the main fabric on the body of the case, while the matching case features it on the cuff, and vice versa. Clever! Army Survival Guides, while the “Attic” tab showcases buck knives, hand carved decoys, and historic American flags. 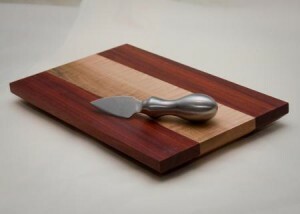 Cutting boards, platters, bowls, utensils, and of course butcher blocks are handcrafted from Green Mountain State wood. The end result is nothing short of spectacular – with minimal proper care their products will last for decades and be cherished family heirloom pieces. 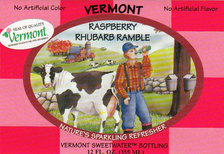 You can order directly online – proudly Made in Vermont! Published five times a year, this publication is all about The Green Mountain State, from the people, the scenery, the restaurants, and more. Every issue features stunning photography of Vermont’s beautiful landscape, along with a spotlight on current events and issues of importance to Vermonters. Subscriptions are extremely reasonable and you can get one at the Vermont Magazine website. While you’re there, be sure to check out their online store where you’ll find a nice selection of calendars and books too! 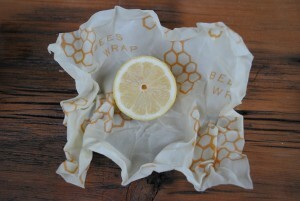 It’s called Bee’s Wrap, a washable and reusable cotton wrap made with beeswax, jojoba oil, and tree resin. It comes with an easy to use handy button closure – perfect for lunch boxes or that loaf of crunchy bread you’d like to keep fresh for more than a few hours, and the lemons you want to remain juicy after slicing them open. Bee’s Wrap is made in several different sizes and attractive colors and prints. If you’re tired of hassling with plastic wrap, here’s your solution! The wrap washes easily with cool water and a little mild soap and will last for hundreds of uses. Visit their website to learn more and feel good about using sustainable food storage! Located off Route 15 northwest of the state capital in the town of Johnson, the mill is today producing just about any kind of wool clothing and accessory you might imagine. From wool coats to dog coats and from hand bags to hats, you’ll find it at the Johnson Woolen Mills website or one of their many retail dealers across the country. There’s a reason why wool garments are timeless and always in style … they’re breathable, warm in the winter and cool in the summer. A wool throw or a wool commuter or tote bag is the perfect gift for the hard to buy for person on your list, and it’s a durable gift that will be treasured and last for years and years. We’re so pleased to introduce you to (or remind you about) Johnson Woolen Mills. Click through to their website to learn more and see everything they’re producing! 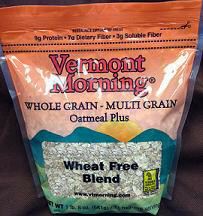 King Arthur Flour: Proudly based in Norwich, VT this company goes far beyond flour, the foundation of baking. Their business campus is literally a baker’s utopia – a popular visitor attraction featuring a store, cafe, and Baker’s Education Center where you can learn how to create masterpieces just like professional bakers. 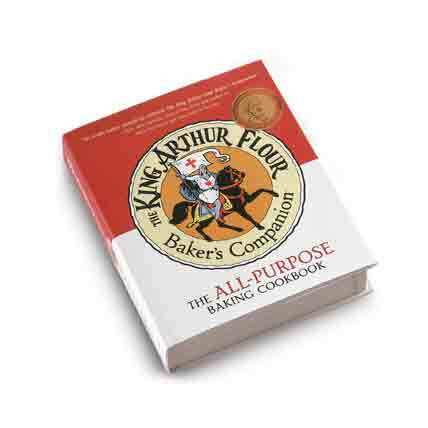 King Arthur Flour has a long and storied history and is one of America’s standard bearers in the baking industry. Since 1790, they’ve been creating just about everything you need to show off your culinary skills as a baker. At their website, you’ll find all sort of helpful tips to guide you along the way, as well as recipes to inspire your creativity. Pictured is their one of a kind recipe book that covers everything from basic to complicated – the perfect gift for someone just getting started, or anyone who needs a refresher! The farm itself is home to over 250 dairy sheep who are cared for by shepherds from the two families who own the operation. At their online store, you’ll find a wide variety of cheese along with wool products, jams, quince butter, sheep milk soap, and more. A wonderful Made in Vermont gift idea is their Cheese Assortment Package, which can be shipped anywhere in the continental United States. 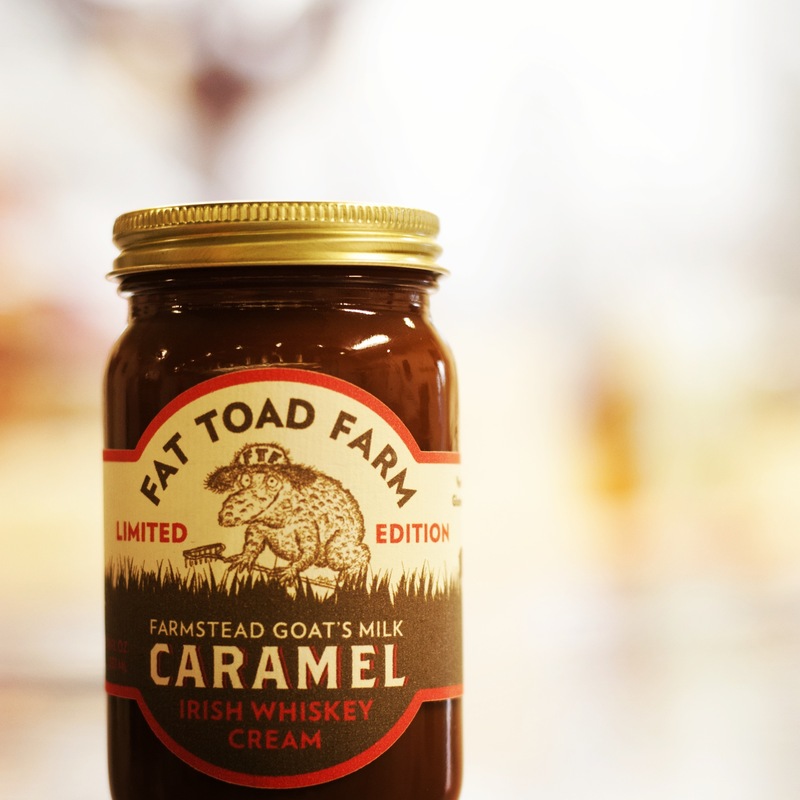 It contains nine pounds of products from the farm, including three of their cheese varieties along with quince butter and fig jam. It’s packed in hay from the farm – a true sample of The Green Mountain State! 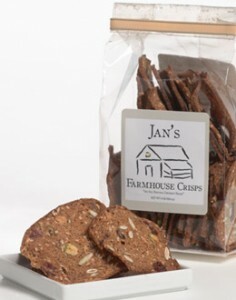 They’re Jan’s Farmhouse Crisps, and they’re a healthy mouthful of delicious packed with pumpkin seeds, pistachios, cranberries, and flax & sesame seeds. 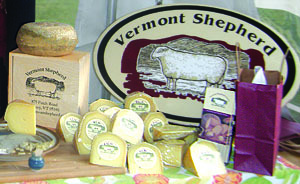 They’re wonderful with a slice or two of your favorite Vermont made cheese, but just as good on their own! Jan is Jan Gorham, a mom of three who’s passionate about offering snacks without processed or artificial ingredients. Perfect to bring to a dinner party or as a casual mid afternoon snack, Jan’s Farmhouse Crisps have garnered all kinds of positive foodie press, including a feature in Martha Stewart’s Living and the Specialty Food Association’s SOFI Awards. A friend of ours brought us back a sample from a business trip to The Green Mountain State and we almost sent him right back to get more! You can buy these one of a kind crackers in 16 states (and growing) across the country (check the website for details) and there’s a link to order online at Jan’s site as well. Some real goodness from Vermont! Formed in 2009, the company is owned and operated by Vicky Allard, a preserve maker originally from England, and Joe Hanglin, who hails from Gibraltar. The farm itself is located in the Green Mountains offering spectacular views and an abundance of fresh fruit. 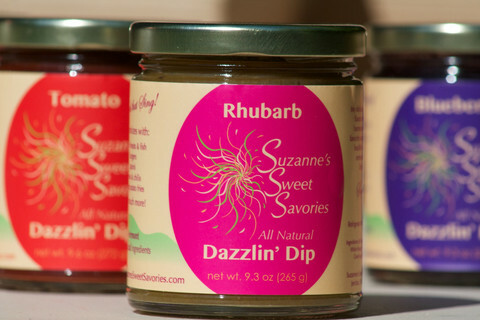 Ripe blackberries, blueberries, gooseberries, and rhubarb all make their way into these delectable products. Gift sets and combination packages are available – Click through to their website to see all their creations and order for yourself or as a wonderful gift! Potlicker Kitchen: Have you got a beer guy or gal on your list? You know, someone who really likes beer, beer t-shirts, beer glasses, beer bread, beer anything? Well, instead of getting them something they’re already expecting (beer), why not get a little creative? And that’s where Potlicker Kitchen of Waterbury Center, VT comes in. This creative small company creates small batch Vermont beer and wine jellies along with artisan jams. 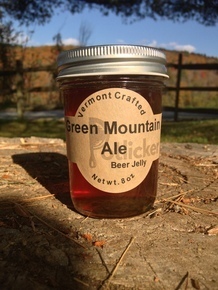 For example, one of their products is Green Mountain Ale Beer Jelly, produced with locally brewed Long Trail Ale. Another is a delectable Black IPA Beer Jelly, made with Otter Creek Brewing’s Black IPA. If you don’t want to enjoy it on crackers, use it as a glaze for chicken wings! 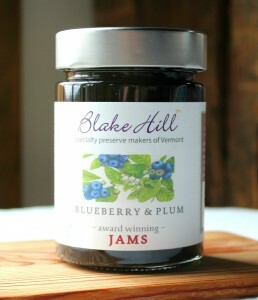 The company also makes jellies with Vermont wines as well as some really interesting flavors like Blueberry Sage Jam, Carrot Cake Jam, and one we’ve never heard of, Wild Knotweed Jelly. Turns out knotweed is a wild invasive plant found in the northeast that’s similar to rhubarb. Instead of trying to weed it out (literally), Potlicker Kitchen decided to turn this unwanted plant into something tasty … if you can’t beat it, eat it! Truly Vermont made gifts from a very interesting and clever company. Check them out! Big Picture Farm’s cheese was recently judged an American Cheese Society award winner in the aged goat cheese category. Their tomme style cave aged Sonnet is a creamy smooth delight that’s sure to please any cheese lover. The Farm’s online store offers their cheese in limited quantities along with gift sets featuring Vermont made cutting boards inscribed with an image of one of their prized goats. And be sure to visit their Gifts page, featuring a variety of colorful and creative packaging for their cheese and caramels along with other fun items. Wonderful gifts, direct from Vermont! 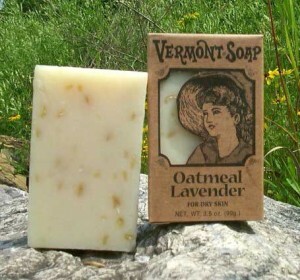 Vermont Soap: Based in Middlebury, Vermont Soap is a company you’ll want to know about if you appreciate handmade natural soap. 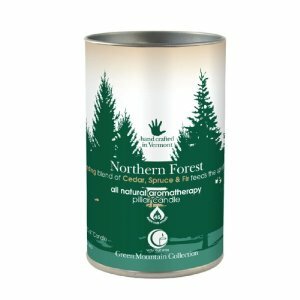 For over 20 years, this company has made natural cleaning products for just about anything in your life that needs cleaning! All of the company’s bar soaps are all natural and cold processed. They last twice as long as traditional mass market soaps and are gentle enough for anyone with more sensitive skin. These products make great gifts for anyone on your list, especially those who appreciate how clean and fresh natural soap makes them feel! 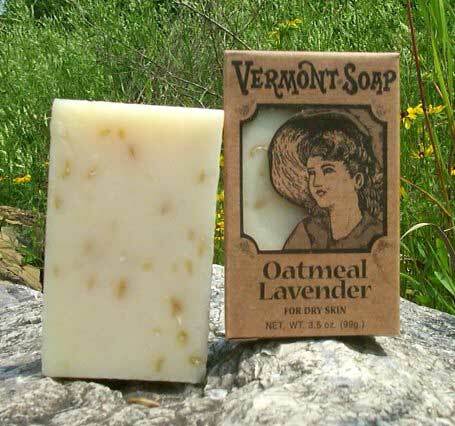 Click through to the Vermont Soap website to see everything they’re doing! The company makes a particularly interesting line of mustard. 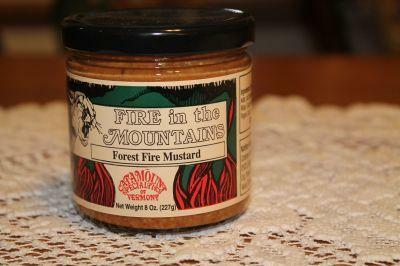 At the Catamount Specialties website, you’ll find varieties like Fire Roasted Garlic and one called Forest Fire, a combination of habanero mash, horseradish mustard, and a bit of natural hickory smoke. Another is a nod to the state’s signature product, Maple Mustard, which combines gourmet mustard with pure maple syrup. Think honey mustard with a maple twist! When you visit their site, be sure to check out the authentic Italian style pasta sauces along with gourmet jellies which are perfect for appetizer trays. 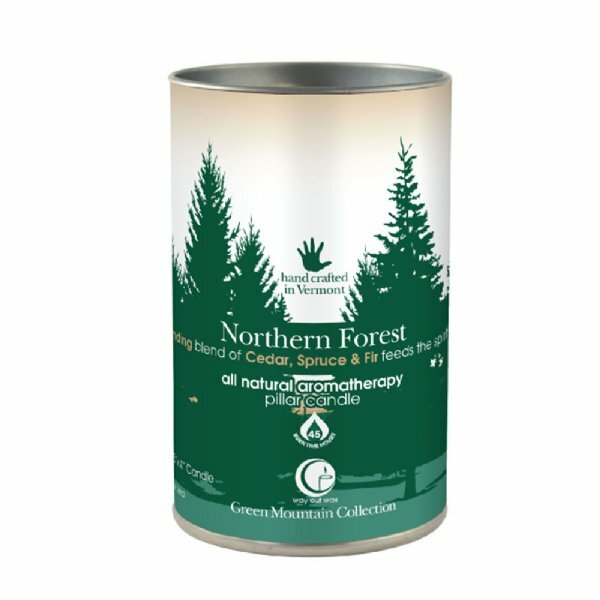 Several varieties are available for ordering – enjoy the classic flavors of The Green Mountain State! Way Out Wax: We love ecologically friendly candles, and the folks at Way Out Wax in North Hyde Park, VT have been creating them since 1995. This thriving company creates all natural aromatherapy candles made with pure essential oils and natural wax blends. No synthetic fragrances or dyes are used and all of the company’s container candles are made with 100& soy wax. 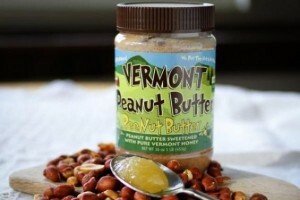 Vermont Peanut Butter Company: Founded and located in Morrisville, the Vermont Peanut Butter Company makes a line of nut butters containing more personality, more protein, and more flavor! Made without preservatives or the extra salt and sugar found in store bought brands, the Vermont Peanut Butter Company varieties are each made using two different strands of USA grown peanuts. Each strand is grown to a differing level of darkness, creating their unique and proprietary flavor. Each of their peanut butters offer a unique personality – some have chocolate, some cranberries and flax seeds, and some have pure Vermont maple syrup or honey. Of course, traditional creamy and chunky varieties are available as well! We particularly like the company’s Bee Nut Butter. It’s a combination of peanut butter and Vermont honey and it’s extraordinary! You’ll never think of peanut butter sandwiches the same way again! 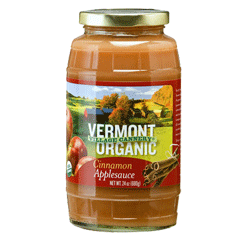 Vermont Village Applesauce makes applesauce like no one else. The entire apple – including core and skin – is cooked in small batches and allowed to stew without the addition of water and sugar. This captures the full flavor of the apple and the entire process is certified organic. Local Vermont apples are used – a true taste of The Green Mountain State! 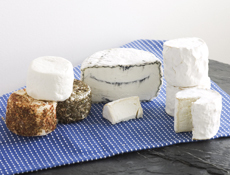 See all the Blue Ledge Farm cheese combination packs by clicking through to their site. They’ll ship anywhere in the country by UPS overnight or 2nd day air! The products are called Piquant Preserves, made with a variety of fruit or vegetables and blended with their signature recipe spices. Choose from apple, carrot, pear, blueberry, cranberry, rhubarb, and tomato. At the Suzanne’s Sweet Savories website, you can order by single jars or a four jar sampler pack. 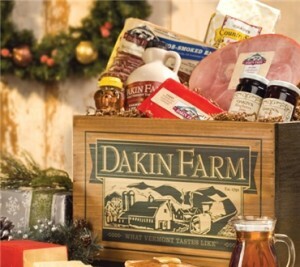 Dakin Farm now has two locations in The Green Mountain State, the original farm store in Ferrisburgh and a branch store in South Burlington. At both locations, you’ll find many of the products the farm is famous for, like smoked bacon and sausage, maple products, ham, poultry, cheese, and much more. 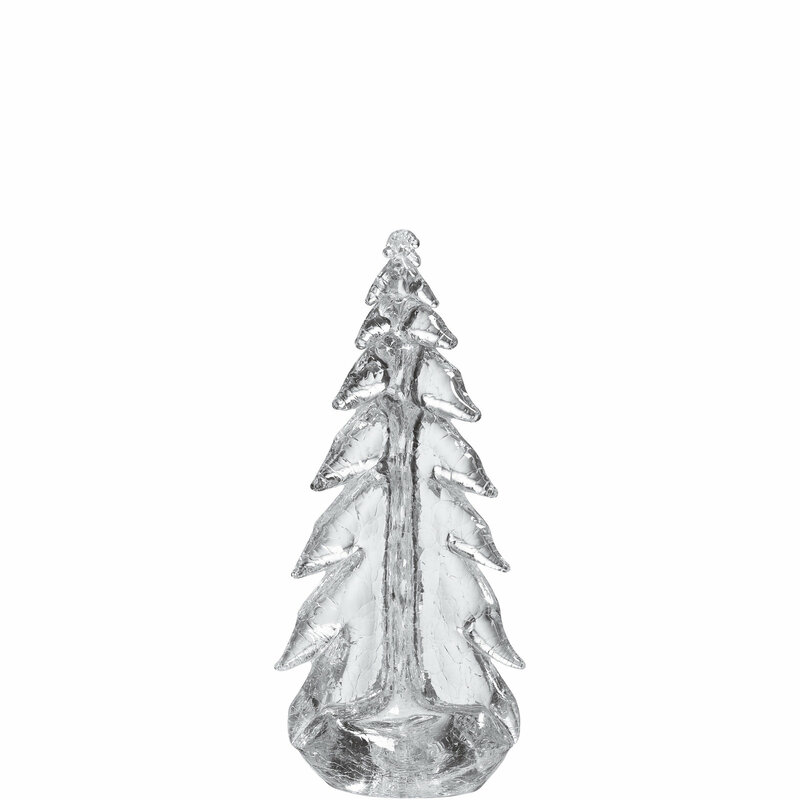 Click through to their site to see all their products and gift suggestions, like the one shown which is called “Most Impressive Gift”, a selection of Vermont’s finest. And really, who on your list wouldn’t be impressed receiving a box called “Most Impressive Gift”?? 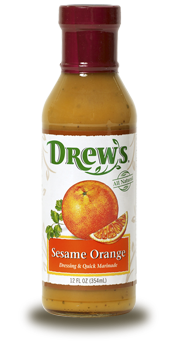 Drew’s All Natural: Grocery shopping can be a chore … or, you can make it fun! 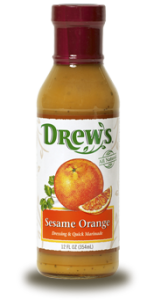 If you can’t find Drew’s products where you live, you can always order online at their website. We can’t wait to try more of his dressings as well as the line of salsas! 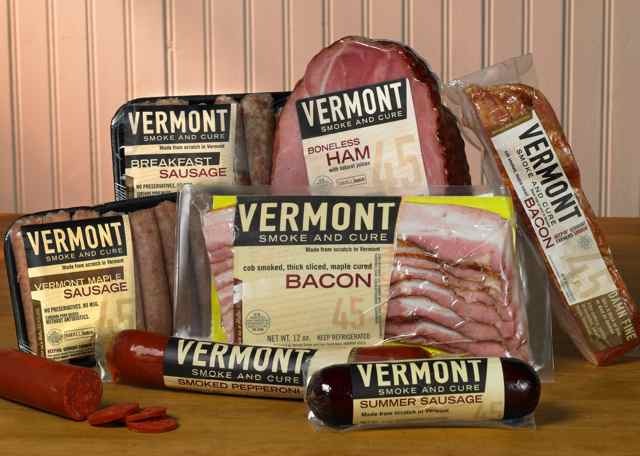 If you’re looking for convenient one stop Vermont gift shopping, consider their “Vermontavore” or “Camel’s Hump Sampler” gift packages. The Camel’s Hump package (shown) contains smoked bacon, ham, summer sausage, smoked pepperoni, Vermont breakfast sausage, and maple sausage. Wow … I’d love to get that delivered to MY door! 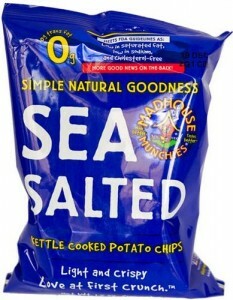 We’ll admit to having a lot of fun trying different potato chips from all across the U.S. – the differences in taste are interesting if we ever do a potato chip review site, Madhouse Munchies chips will definitely be right near the top! To give you an idea, Jed’s produces maple syrup, maple candy, and maple cream (kind of like a maple butter). They also have maple frosted nuts and maple dressing for salads. 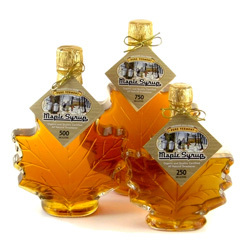 If it’s a maple based food product, you’ll find it here! They’re available in all kinds of interesting flavors, made only with human grade food. The flavor shown in the picture is cranberry, cheddar, and mint. Cranberry is known to help a dog’s urinary tract health, mint helps diminish “doggie breath”, and cheddar … well, cheddar tastes good! A percentage of Wagatha’s sales are donated to the Morris Animal Foundation’s Canine Cancer Campiagn, a great cause helping eliminate cancer in dogs. 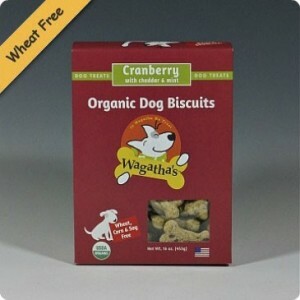 Set your dog’s tail a-waggin’ with Wagatha’s! The hardest of woods are used … cherry, maple, and walnut. You can choose your desired type of wood (the colors differ) as well as the size and style. Rolling pins are an underrated kitchen accessory … until you need one! They’re a great gift for showers, weddings, and new apartment or home parties. You’ll be able to hand yours down to your family members if you wish! 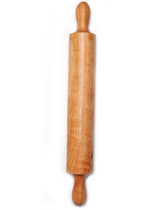 Even if you’re not in the market for a rolling pin, you should check out the Vermont Rolling Pins website. I learned some very interesting facts and care tips about rolling pins … how they’re made, how to display and care for them, and how to clean them. The company also carries essential pizza making tools … and there are lots of great recipes for all the dough you’ll be preparing with your Vermont rolling pin! 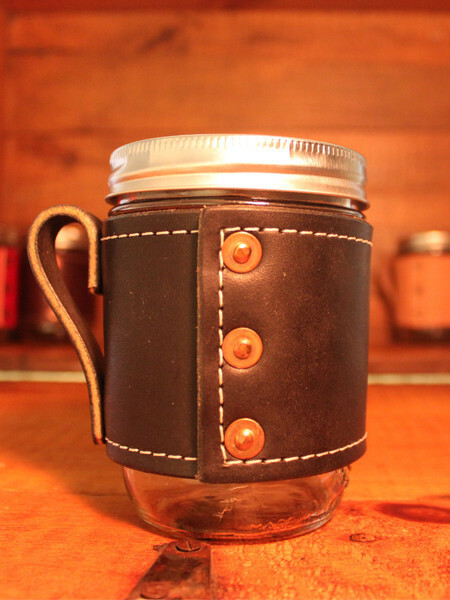 The mason jar is included with your purchase, and the hand tapped rivets make for easy removal of the holdster when the jar needs cleaning. Clever! One specific product of note is a dry cured Calabrese style of soppresata called “Soupy” … it’s rarely seen in this country and is available in varying levels of hotness. You can serve it sliced on crackers or bread, or with salads. Get some for yourself or as a gift for a friend … a really unique Vermont made gift! 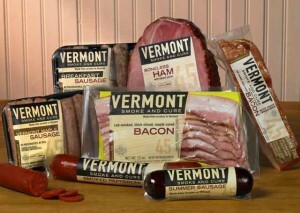 You can also get all sorts of other wonderful Vermont products like Morse Farm cheese, maple candy, and maple cured bacon. Morse Farm has been around since the late 1700’s so it’s safe to say they know what they’re doing! 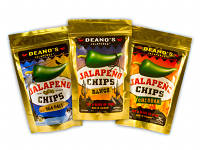 Deano’s Jalapenos: Deano’s Jalapeno Chips were born at the Cactus Cafe restaurant in Stowe, VT. The home made chips proved so popular that the owners established a second business to share them with more than just their restaurant customers! Munch on the chips and use the bits to liven up a salad! Try it on anything … burgers, steaks, chicken, and roasts. 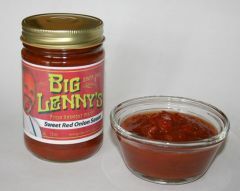 It’s especially good on any cut of pork! They are well known for their specialty cheese as well as their aged cheddar, available aged from one to five years. If you’ve never tasted a cheddar cheese aged five years, you should! It’s deep flavored, rich, and complex … unlike any store bought cheddar cheese. 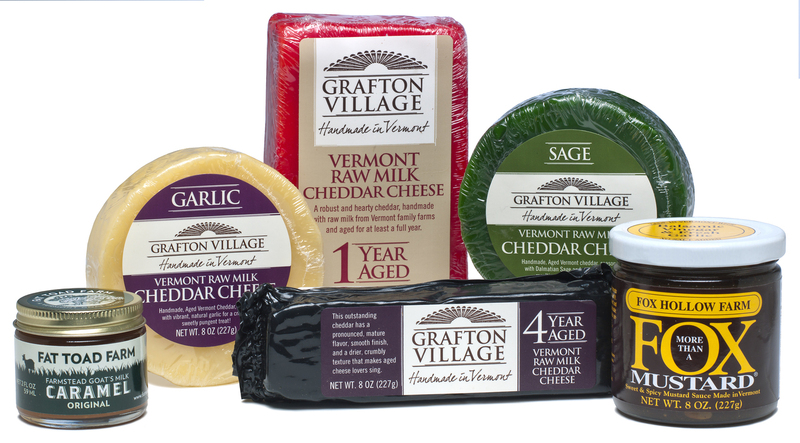 Grafton Village Cheese is a perfect stop for Vermont gift shopping … they offer various cheese gift baskets as well as Vermont jams, mustards, and other specialty foods. 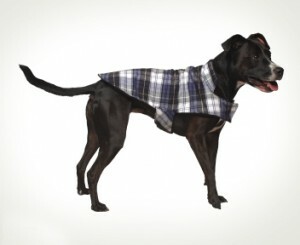 This East Barre, VT company makes shirts, robes, jackets, pajamas and more for men, women, kids, and dogs as you can see! Vermont Flannel garments are exceptionally well made and durable … they’ll last for years! 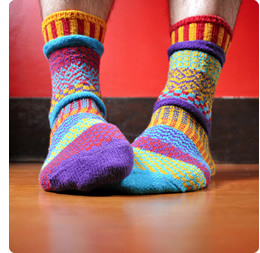 What a great gift for anyone who has to survive cold weather … in Vermont or otherwise! A glass blown item from Simon Pearce will surely be appreciated … many are passed from generation to generation! You can also buy maple candies and maple cream, both made with local maple syrup … and granulated maple sugar, which is just like brown sugar but richer tasting and dare we say much better! 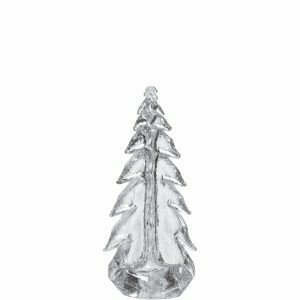 Check their site for their various gift box sets, which make giving a Vermont themed gift a snap! 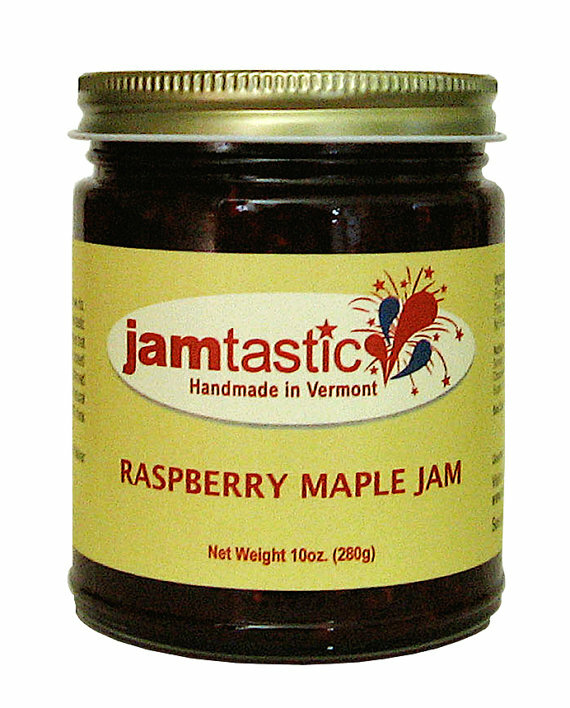 Jamtastic Jams: Jamtastic Jams owner Ross Warren of Rupert, VT creates hand made jams using local ingredients which he calls “Jamtastic” … and they sure do look good! 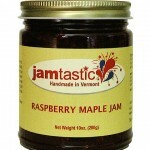 Learn more at the Jamtastic Etsy shop at Jamtastic Jams and enjoy a real taste of The Green Mountain State! It’s a wheat free blend that’s made with organic whole grains, oats, rye, and a touch of cinnamon for flavor … unlike any oatmeal you may have tried and not liked! 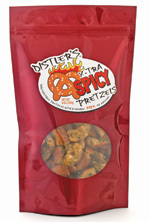 Distler’s Pretzels: Distler’s of Williston, VT puts a new spin on pretzels … they make bite sized spicy sour dough pretzels which are seasoned with spices to give them a kick! You can order online at VermontPickle.com … gift packs are available! 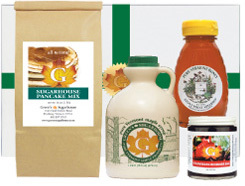 Gormly’s Vermont Specialty Foods: If you’re looking for one stop Vermont gift shopping, try Gormly’s of South Burlington, who specializes in various Vermont made food products. They carry grilling sauces, glazes, mustard, marinades, and mixes from the Vermont Farm Girl line. Our favorite product from Gormly’s is their Maple Rum Glaze, which is great on ham and cheese sandwiches! Another good one is the Roasted Garlic Country Mustard, made with Vermont grown garlic. Yup, it’s also good on ham and cheese sandwiches!